The U.S. and Ohio Constitutions protect citizens from unreasonable search and seizure by the police. The parameters for police contact with citizens are laid out in the Constitution and various Supreme Court decisions interpreting the Fourth Amendment. There are three categories of interaction between police officers and the public. The police are permitted to walk up to anyone on the street and ask them voluntary questions. The police are allowed to make regular everyday conversation just like anyone else. Even when there is no particular basis to suspect someone of criminal activity, the police are permitted to ask questions, ask to search your bag or otherwise make conversation. But the key is that you are not required to answer. Just like anyone walking up to you on the street and asking you a question, you don’t have to answer if police questioning falls into this first “voluntary” category. If you refuse to answer, the police cannot stop you or detain you even for a moment. The key is that you are free to keep walking – and there is no coercion from the police requiring you to stay. 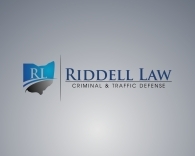 If police have reasonable suspicion that criminal activity is happening or about to happen, they are permitted to initiate a “Terry stop.” This type of stop derives from an Ohio case that went all the way to the U.S. Supreme Court case in the 1960’s. In Terry v. Ohio, officers observed several men pacing back and forth in front of a store window. The officer thought they were casing the store for a potential robbery or theft. He stopped them and asked their names. The officer spun Mr. Terry around and patted his clothing down for weapons, when he felt what seemed like a gun in his pocket. The U.S. Supreme Court found that the officer acted properly in searching Terry for weapons. Even if there is no probable cause to arrest, an officer can pat down a suspect for weapons if he has reasonable suspicion that criminal activity is or will be happening. The third type of contact arises when an officer has “probable cause to believe a crime has been committed and the person stopped committed it.” A warrantless arrest is constitutionally valid if the officer has “probable cause” to make the arrest. This means that there must be reasonably trustworthy information that would cause a prudent person to believe that the person had or was committing a crime. If you have been stopped or searched by the police and charged with possession of marijuana, call our Cincinnati marijuana attorneys today to discuss the details of your case. If the stop or search was unconstitutional, it is possible your case could be thrown out of court. Call (513) 655-7988 for a free consultation 24/7.